It's no secret that I love Aveeno products, I've always had dry and itchy skin and have been a loyal customer for years. 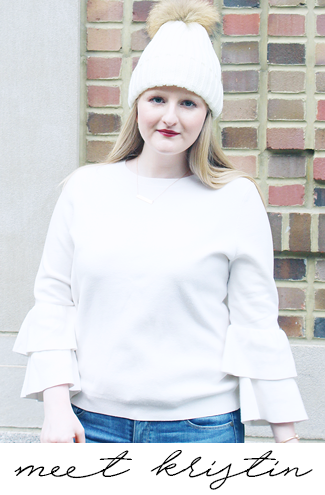 One of my favorite parts about Aveeno is their natural approach to beauty, specifically their products that harness the power of Active Naturals ingredients. 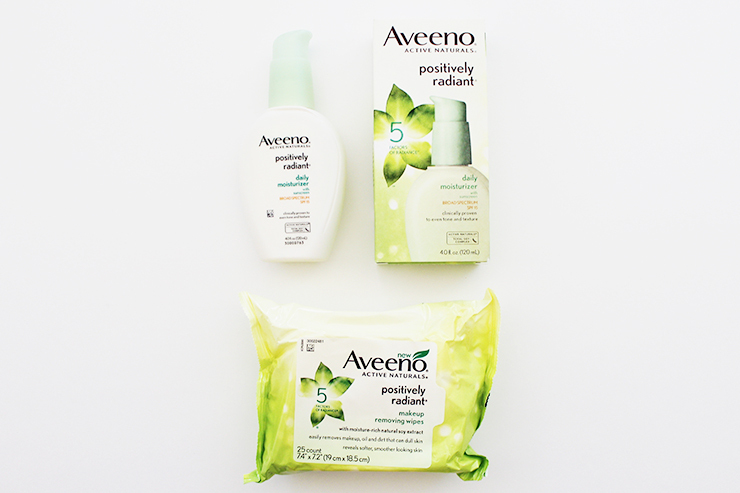 Aveeno's Positively Radiant Collection is a line of facial care products known to help even out tone and give you brighter, more radiant skin (what girl doesn't want that?!). The Positively Radiant Collection features a Total Soy Complex, which brings a list of benefits to the products in this line - it helps to improve texture, tone, brown spots, dullness and blotchiness. The skin benefits of soybeans were first discovered in Asia when workers in soy factories who handled the beans regularly noticed that the skin on their hands was especially smooth and even toned. The scientists at Aveeno then developed a way to process soybeans so that they retain the proteins that harness the skin benefits. When I got the opportunity to try out some products from the Positively Radiant Collection I jumped at the chance! 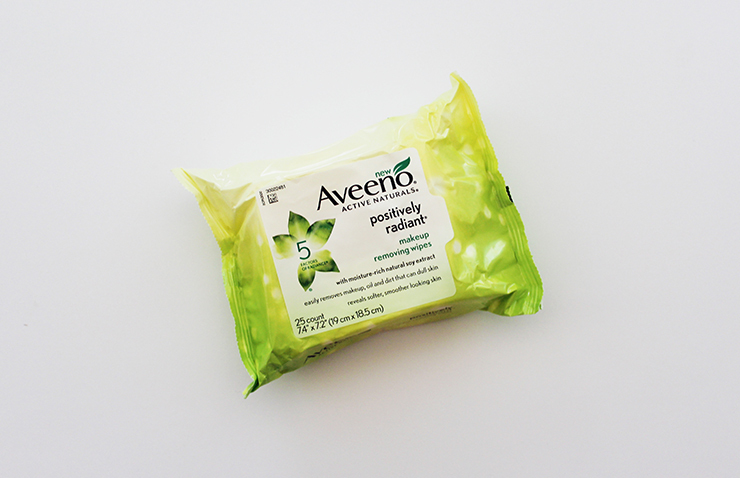 I've been a fan of Aveeno Positively Radiant Daily Moisturizer SPF 15 for quite some time (I think I've been using Aveeno facial moisturizers for the last ten years), but had never used the Positively Radiant Makeup Removing Wipes before so I was really excited to give them a try. 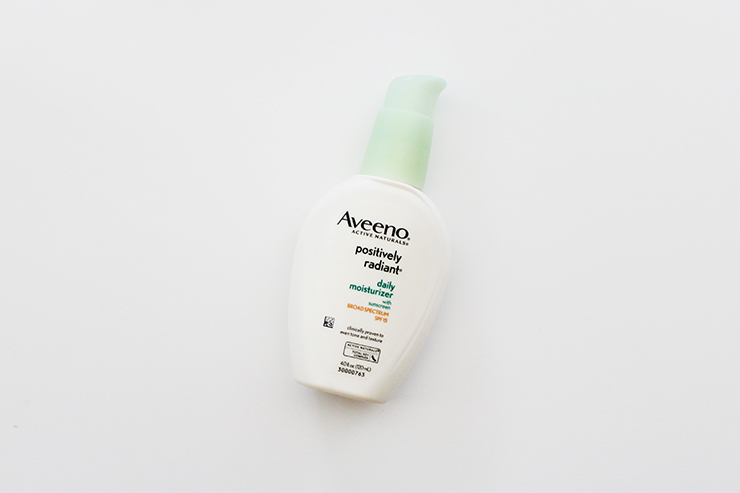 Aveeno's Positively Radiant Daily Moisturizer SPF 15 is oil-free, hypoallergenic and noncomedogenic, which makes it perfect for those of use with sensitive skin. My favorite part about the Positively Radiant Daily Moisturizer is that in addition to the Total Soy Complex it also contains natural light diffusers, mica and silica, to even skin tone and texture while reflecting light to visibly smooth imperfections. When I put on the moisturizer I literally feel like my skin glows. It also perfectly sets the stage for my makeup, when I wear it I love how my skin looks so much that I usually skip BB cream and only use a bit of concealer. Additionally, the moisturizer has sunscreen (a must have in my book!) in it that helps keep your skin as healthy as it looks! 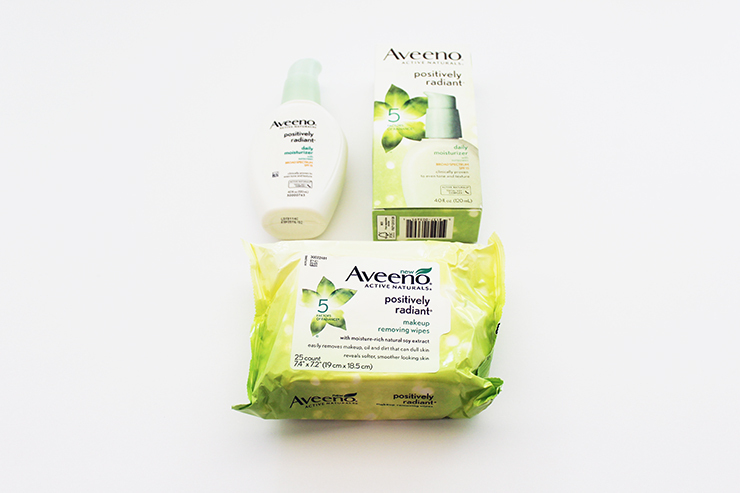 I'm a big fan of using makeup removing wipes to take off my makeup before washing my face at night and I love Aveeno's Positively Radiant Makeup Removing Wipes! They easily dissolve all of my makeup and make taking my mascara off a breeze. As other products in the Positively Radiant Collection they work to nourish your skin so that it is healthier and brighter looking. Also like the Daily Moisturizer they are oil-free and noncomedogenic so they will not block your pores. I've really enjoyed incorporating these products into my daily routine and plan to continue using them. I also definitely recommend trying both of them out, you will not be disappointed (P.S. You can pick them up at Target!)! Want to try Aveeno's Positively Radiant Collection for yourself?